Grammy-nominated and multi-platinum selling artist Ariana Grande and 10-time Grammy, Oscar-winning and multi-platinum selling singer/songwriter/ musician John Legend have released their duet “Beauty and the Beast” as the title track for Disney’s upcoming soundtrack to the live-action film adaptation Beauty and the Beast. Listen to the song in the player below! The enchanting ballad, originally performed by Celine Dion and Peabo Bryson featuring eight-time Oscar-winning composer Alan Menken’s beautiful melody and two-time Oscar-winner Howard Ashman’s unforgettable lyrics, received an Academy Award, Golden Globe and Grammy Award, among other accolades, upon its release in 1991. The music video will be directed by Dave Meyers, the innovative visionary whose long-time collaborations with major artists like P!nk, Janet Jackson, Ice Cube and Britney Spears have resulted in dozens of award nominations and many wins, including a Grammy in 2005 for Best Music Video and 11 MTV Video Music Awards, including one for Katy Perry’s smash hit “Firework.” He recently directed the music video for P!nk’s hit single “Just Like Fire” from the Walt Disney Records soundtrack for Alice Through The Looking Glass. Menken also provides the film score, with new recordings of the original songs written by Menken and Ashman. Also featured are three new songs written by Menken and veteran lyricist and three time Oscar winner Tim Rice. The original motion picture soundtrack will be released by Walt Disney Records on March 10, 2017. You can pre-order the soundtrack by clicking here. Disney’s new Beauty and the Beast movie is a live-action re-telling of the studio’s animated classic which refashions the classic characters from the tale as old as time for a contemporary audience, staying true to the original music while updating the score with several new songs. 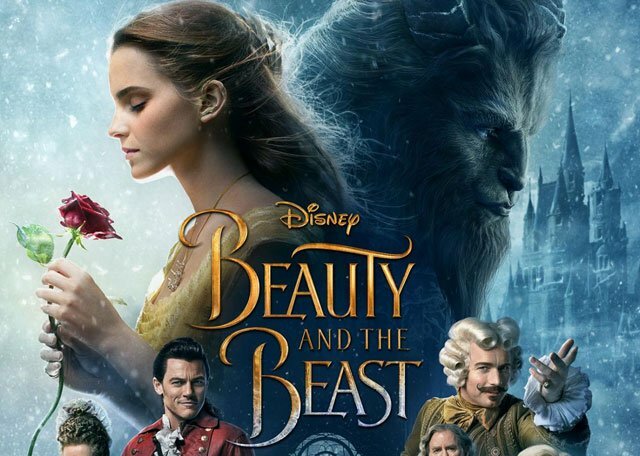 Beauty and the Beast is the fantastic journey of Belle, a bright, beautiful and independent young woman who is taken prisoner by a beast in his castle. Despite her fears, she befriends the castle’s enchanted staff and learns to look beyond the Beast’s hideous exterior and realize the kind heart and soul of the true Prince within. Beauty and the Beast stars Emma Watson as Belle; Dan Stevens as the Beast; Luke Evans as Gaston, the handsome, but shallow villager who woos Belle; Oscar winner Kevin Kline as Maurice, Belle’s eccentric, but lovable father; Josh Gad as Lefou, Gaston’s long-suffering aide-de-camp; Golden Globe nominee Ewan McGregor as Lumiere, the candelabra; Oscar nominee Stanley Tucci as Maestro Cadenza, the harpsichord; Oscar nominee Ian McKellen as Cogsworth, the mantel clock; and two-time Academy Award winner Emma Thompson as the teapot, Mrs. Potts. Directed by Oscar winner Bill Condon based on the 1991 animated film, Beauty and the Beast is produced by Mandeville Films’ David Hoberman and Todd Lieberman. Beauty and the Beast will be released in theaters on March 17.